The Infinita suspension Light by Vistosi has been designed by Renato Toso, Noti Massari E Associati. A response to a growing demand for large lamps with multiple sockets that were previously available using materials of lesser quality or with a big metal body. Its main advantage is a considerable lighting surface with a minimum metal body. 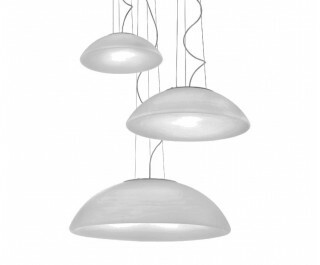 This gorgeous suspension light is the unique way to enhance your beautiful space.